For many listeners, Kaputt will feel strangely familiar as it contains a panoply of identifiable musical touchstones. New Order homages (especially the upfront, Peter Hook-aping bass of “Savage Night At The Opera”) sit besides traces of Steely Dan’s later yacht-rock period insouciance, a measure of Roxy Music-circa-Avalon splendor, the lush, laid-back sweep of mid-80s Brit sophisti-pop groups like Prefab Sprout and The Style Council, and even a little Cocteau Twins-derived ambience, all of it transmitted via Bejar’s outwardly fey warble (somewhat reminiscent of Al “Year of The Cat” Stewart) and a bevy of creamy, cooing female backing vocals. Upon its arrival, Kaputt seemed a bit out of left field for Bejar. Admittedly, I’d only heard one of Destroyer’s eight previous albums, 2006’s Destroyer’s Rubies; primarily, I knew Bejar as one of the three singer/songwriters (along with A.C. Newman and Neko Case) in the Canadian supergroup The New Pornographers, who had put out five albums in the decade leading up to Kaputt. With few exceptions (“Myriad Harbour”, “Testament To Youth In Verse”) Bejar’s three or four tunes per TNP record were rarely my favorites due in large part to his voice. Meandering and often mealy-mouthed, it wasn’t as seamless a fit for the band’s razor-sharp power pop as Newman’s melodic tone or Case’s siren call. Thus, Kaputt’s departure from that template was revelatory: finally, Bejar had constructed (or perhaps stumbled upon) a sound that seemed more forgiving and complimentary to his particular voice. Technically, I can’t exactly pinpoint why they meshed so well together; all these discernible influences should have resulted in an album of record collection rock where listeners could spot the pastiche or facsimile. Instead, it came off as an idiosyncratic odyssey, driven by a sensibility you wouldn’t mistake for anyone else than Bejar’s. Although it arrives just past Kaputt’s midpoint, the title track is the album’s centerpiece; it may also be the key unlocking a good chunk of its secretive pleasures. Its lead instrument, an electronic sequencer (“doot-deet-doot-dit-doot-deet-doot-dit…”) also acts as its heartbeat, a constant that only disappears near the last of the song’s six-plus minutes. Trumpet and sax filigrees bloom throughout, while warm guitar chords, a disco bass line and atmospheric synths color the spaces in between. As usual with Bejar, the lyrics are more tone poem than cogent narrative, such as the opening lines, “Wasting your days / Chasing some girls, alright / Chasing cocaine / Through the backrooms of the world / all night.” He’s simultaneously hedonistic and almost brutally wistful, particularly whenever a chord change results in an emotional crescendo (notably on the aforementioned rundown of UK music mags, of all things.) More than one person I’ve played this song for assumed it was by Pet Shop Boys, which hints at the grandeur Bejar aims for, but he’s far less arch or purposely clever than Neil Tennant. Like the rest of Kaputt, “Kaputt” is very much its own thing, stretched-out with extra texture but still an immediate, arresting pop song. From there, the album’s other tracks serve as branches, extending in various directions but all connected to one tree. No less than three of nine tracks here each contain the lyric, “I wrote a song for America,” but it’s simply another reoccurring motif, not leaving the impression that Bejar’s run out of things to say. Similarly, Kaputt’s songs are packed with repeated lyrics woven into the arrangement’s fabrics as much as its horns or synths. “I can’t walk away” (from “Chinatown”), “I won’t and I never will” (from “Blue Eyes”) and “Winter, Spring / Summer and Fall / Animals crawl / towards death’s embrace” (from “Song For America”) are but three examples. In keeping with the idea of dream logic, they don’t hold any hidden meaning; they only convey Bejar’s knack for vocal hooks. Still, both the arrangement and structure of “Suicide Demo For Kara Walker” are its most striking features. The extended opening almost tricks you into thinking you’ve put on a Brian Eno ambient album by mistake—all electro-pastoral new age beauty until, just after the two-minute mark, a perky flute hook appears, soon joined by a gently thumping beat and at 2:36, finally, Bejar’s vocal. It goes on for nearly another six minutes, Bejar rattling off verse after verse until the flute hook returns for an equally lengthy instrumental outro, the beat intact while a flurry of overdubbed sax and trumpet solos play us out. The momentum remains slow-building and steady, as it also does on “Poor In Love”, whose breadth seems to expand exponentially with each verse. “Downtown”, on the other hand, shoots out in the opposite direction, vacillating between bouts of crisp funk and lush rumination heavy with echo and negative space. Since Kaputt, Bejar has released two more full-length Destroyer albums: Poison Season (2015) and ken (2017). The former further expands Bejar’s musical scope, containing everything from sumptuous strings to anthemic, Bruce Springsteen-esque (!) rock, while the latter sticks to a mostly electronic sound and closes on his biggest, boldest pop song to date (“Le Regle du Jeu”). 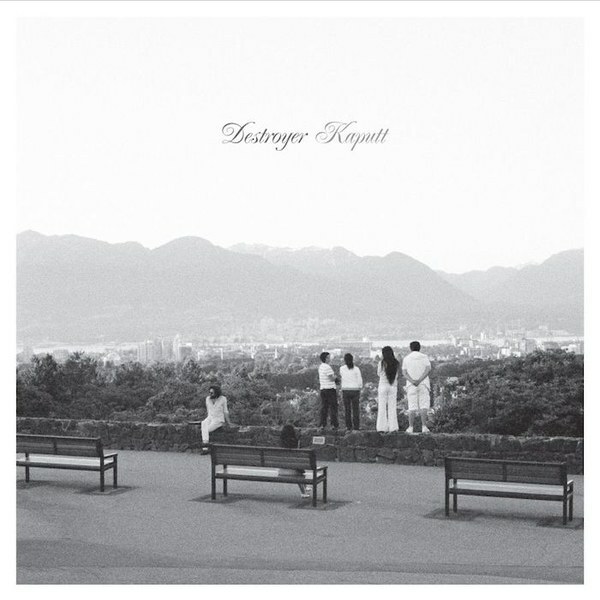 But it’s Kaputt that transformed how I view and appreciate Bejar as a lyricist and yes, as a vocalist as well—I even dearly missed him when he didn’t participate on The New Pornographers’ most recent album, Whiteout Conditions. Up next: (Not just) another Canadian singer/songwriter.